It hasn’t been too long since Chrome 29 hit desktop operating systems with smarter omnibox suggestions, but Google isn’t resting on its laurels. The search giant is baking its core product into the browser with a new update. Now, the New Tab page of Google Chrome will show you the familiar Google logo and search box, which you would normally see if you visited Google.com. Under the search box, you will find your most visited tabs, as usual. And yes, it will also update when there’s a special Google Doodle, whether boredom-busting games Keep Boredom At Bay With Playable Google Doodles Keep Boredom At Bay With Playable Google Doodles The Google homepage is intentionally minimalist, with a distinct lack of pointless detritus that would only serve to divert people’s attention away from the main purpose of the page. Which is to provide a kicking... Read More or amazing videos 5 Of The Best Google Doodles Videos 5 Of The Best Google Doodles Videos The Google logo is recognized the world over. It's a logo that many people see on a daily basis as they make the Google homepage their first port of call in exploring the wider web.... Read More . Similarly, Google is making it easier to search by image. Whenever you see any image, you can right-click it and hit ‘Search by Image’ in the context menu to run a Google Search on it. On the mobile front, Google Chrome for Android has got a few new gestures that allow users to quickly switch between tabs or access the menu. Specifically, users can swipe horizontally across the top toolbar to quickly switch tabs; drag vertically down from the toolbar to enter into the tab switcher view; and drag down from the menu to open the menu and select the item you want without having to lift your finger. These features will be rolling out to devices in the next few days. 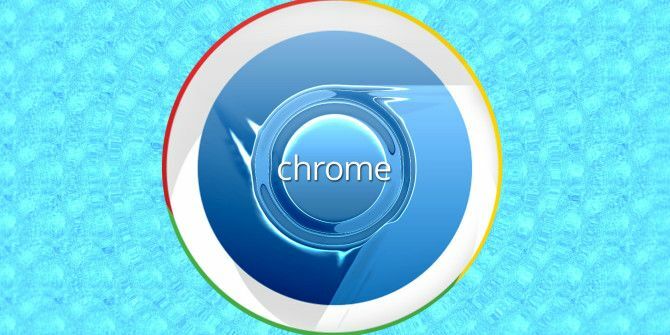 If you aren’t already using it, download Google Chrome and use our guide to get the best out of it. Explore more about: Google Chrome, Google Search. Problem solved. I manually updated Chrome. Thanks Mihir Patkar. I can't find Search by image in context menu. Any suggestion? In my context menu, it's the 5th item (after Open Image in New Tab). You have to be specifically clicking on an image that isn't copy-protected. Try it with the Android gestures screenshot in the article above and check if it's working for you, it does for me :) If not, maybe your Chrome isn't updated yet? Yep! Chrome team has done a great job once again! !